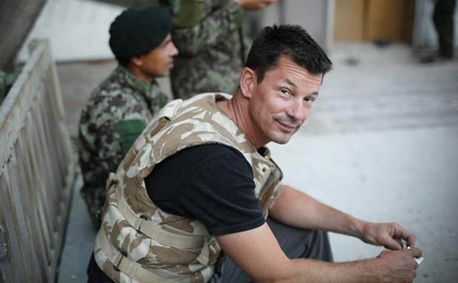 British hostage John Cantlie has appeared in a shocking new ISIS video. Clearly under duress and looking far different from when he was captured, John Cantlie talked in the propaganda video clip on behalf of ISIS. In the eerie video, the Journalist and photographer slammed the recent coalition air strike on Iraq city of Mosul in the heartbreaking 3 minute footage. The war report who was captured in 2012 was looking painfully gaunt after four years in ISIS captivity. 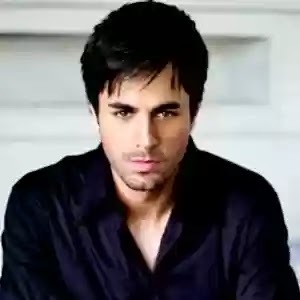 In the video John refers to the bombing of Mosul University in which he claims 15 died and 130 were injured. Wearing a long shirt and dark trousers John - who was kidnapped for a second time in Syria stands in front of a blown up building. 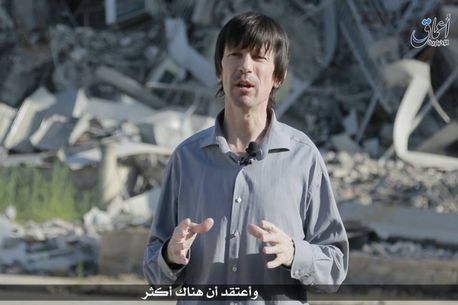 The clip was titled "John Cantlie speaking about the US bombing Mosul University and other popular areas in the city, the Brit is seen looking disturbingly thin while wearing a grey shirt that is far too large for him.